TMS Cloud - Measure the Quality of Your Public Transport and Make it Better! Measure the Quality of Your Public Transport and Make it Better! Get comprehensive live or historical KPI’s of your public transport service and detect the opportunities to make it better and to get higher passenger satisfaction. Connect to Your Existing Data and Get Immediate Benefits. 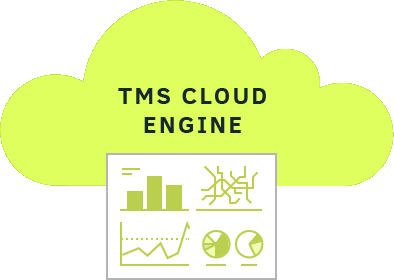 TMS Cloud calculates, analyses, and presents all comprehensive KPI’s from your existing open data. The integration is simple, quick and effortless. TMS Cloud helps you make your public transport service and your city more sustainable and citizen’s friendly. TMS Cloud improves your data so you can provide more accurate information to your community. 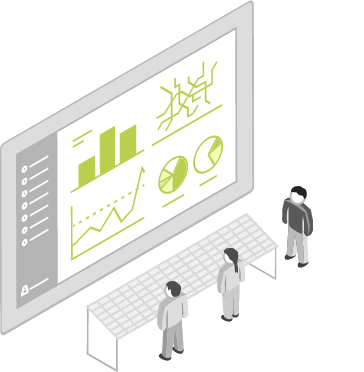 Get detailed insights on the real time and past performance of your public transport service. Top level view of all your KPIs will help you define how to make your service better and how to improve your passengers’ satisfaction. 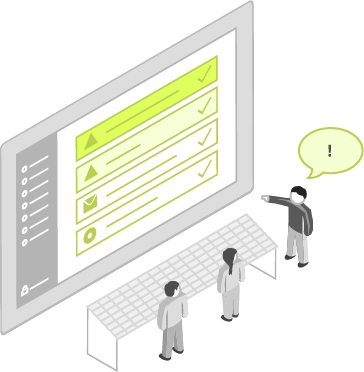 Monitor all aspects of your service in real time. Take a look at all your vehicles in real-time on a map, line/route tracking at a glance and detailed information for each vehicle. It’s also simple to monitor vehicle approach and departure at stops, interchanges or terminals. TMS Cloud detects any unpredictable event on the network and sends alerts to predefined recipients. Those can also be disseminated to PIS (passenger information system), ie Papercast displays. Get a close and detailed view on any chosen trip. Check the duration, speed (average, maximum), travel and dwell times, headways and all incidents that might happen. Check the Accuracy of Your ETA! TMS Cloud analyses your ETA predictions and calculates how accurate they are. The accuracy of your ETA is one of the main conditions for high passenger satisfaction. Check how good you are at it. How good is your ETA overall? Is your ETA good or critical only on certain lines, bus stops, in rush hours or in certain weather conditions? 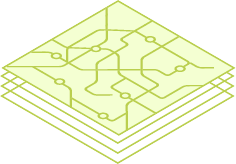 Compare your ETA between the lines, time ranges or even cities. Using your live and historical data processed with advanced statistical engines TMS Cloud gives you more accurate ETA. You can quickly and simply replace your existing data feed with ETA provided by TMS Cloud and achieve higher passengers’ satisfaction. Quantify the quality of public transport in your city. The better the service , the higher the citizens’ satisfaction. TMS Cloud shows you advanced real time and historical KPIs and multidimensional views of your public transport service performance. Upon top level data gained with advanced statistical engines you can furthermore make decisions on how to make your public transport service and your city more sustainable and citizen friendly. 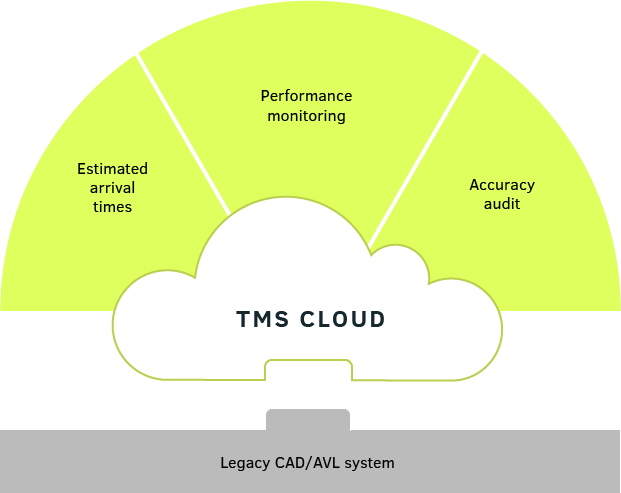 TMS Cloud takes your existing data feeds coming from your current CAD/AVL system. 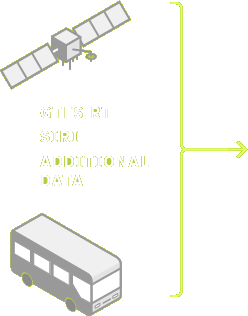 Support for standard formats, such as GTFS RS, SIRI comes out of the box. TMS Cloud is continuously re-processing your data in real time. Advanced statistical and progressive methods are applied in a high-availability setup. 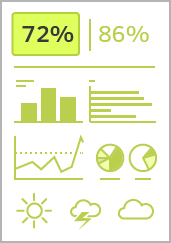 TMS Cloud displays KPIs & insights which can be accessed online from anywhere. It outputs improved arrival data (ETA). which can be easily and quickly integrated back to your PIS and other applications. TMS Cloud audit capability has been used on RTD Denver existing ETA using public GTFS RT feed to measure its accuracy. In parallel TMS Cloud advanced ETA has been run to allow comparison between the two systems. As shown on the graph TMS Cloud ETA offer considerable improvement with 30% increase in accuracy in the last 5 minutes prior to arrival and 20% 5 to 10 minutes prior to arrival. As frequency of buses is typically 10 minutes or less ETA presented to passengers has been improved by 25% on average. Proliferation of open data sources allows easier integration of PIS displays than ever. With TMS Cloud though such sources can be additionally processed to provide improved data accuracy and automated service notifications. TMS Cloud increases accuracy by up to 30% thus significantly improving passenger experience. By combining superior data source with Papercast e-paper displays arrival times can be further amended with information such as automatically created delay notifications and rich, free-form general operator announcements. 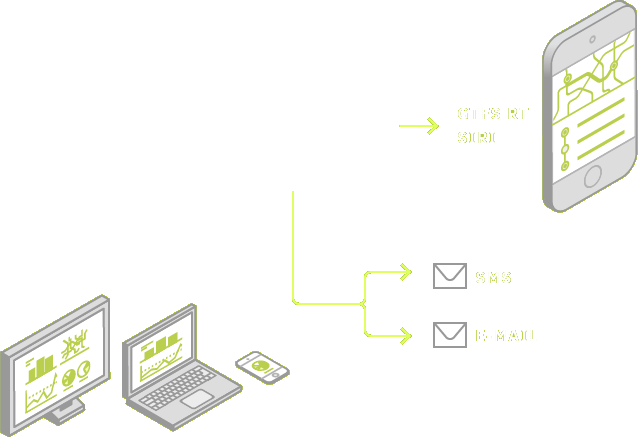 Connect TMS Cloud to your legacy infrastructure (TMS, CAD/AVL) using open formats such as GTFS RT, SIRI, NextBUS and even NMEA in no time. To get preview of TMS Cloud contact us using form below and provide us with access to your data. We'll schedule account setup and quick demonstration of the system. 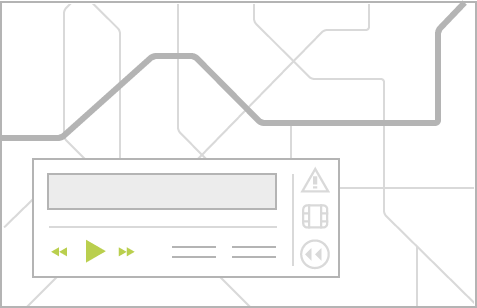 Once setup TMS cloud will make it easy to analyse your public transport and make it better. Improve your public transit now! Get free preview of the system on your data! Pield marked with asterisk (*) are mandatory. Your Plan A for Improving Your Public Transport! Display Arrival Times and any other passenger information on ultra-low power, highly readable, self-sustainable and eco-friendly e-paper displays.